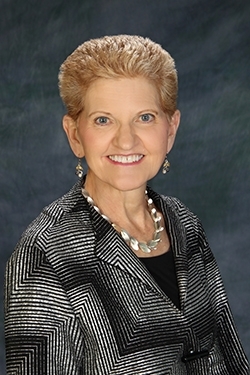 Lois Ann Colaianni, AHIP, FMLA, is acknowledged for her distinguished career at the National Library of Medicine, as well as in hospital and academic libraries, and for her contributions to international medical librarianship. Shaped by giants in librarianship such as Lawrence Clark Powell and Louise Darling, Colaianni earned her MLS from the University of California, Los Angeles, in 1964 and participated in the UCLA Biomedical Library internship program. She was a member of one of the first MEDLARS training classes at NLM and became a searcher as the Biomedical Library pioneered decentralized MEDLARS searching. Subsequently, she headed the Medical Information Communications Service, which supported library service to hospitals in outlying counties under the Regional Medical Program (RMP), and she co-authored a manual for librarians in small hospitals. [I]t was a great opportunity for me to get out and visit and get to know the librarians in each of these counties…to go out with some of the medical teams and give the spiel and meet with hospital administrators and…look at… the “information service,” in quotes, that was available in the hospital at that facility… And their problems—they really had hospitals to run and hiring a librarian, staffing a library, was not something that most of them were immediately excited about doing. Her interest in hospital libraries piqued, Colaianni directed the libraries of the Cedars-Sinai Medical Center in Los Angeles (1972-1981). She merged and reorganized the libraries and was an early adopter of clinical medical librarianship. [S]trangely enough, the…[honor] I really value was a phone call from a resident while I was at Cedars-Sinai. The call had come in about a hemorrhaging patient… And I did a quick search of the literature, communicated some information to the resident, and he called later to say that he was able to stop the hemorrhage and save her life. And that didn’t happen very often to me, so it was kind of a special feeling. She also became active in the Medical Library Association, leading the Hospital Library Section (1976/77), and she was elected as the second hospital librarian to be association president (1979/80). During her presidency, MLA was implementing a revised group structure that strengthened sections and chapters. Colaianni was recruited to serve as deputy associate director and then associate director of NLM’s Library Operations (1981-1998). NLM cited her for strengthening services and the flow of information to users, while improving the working environment for staff. 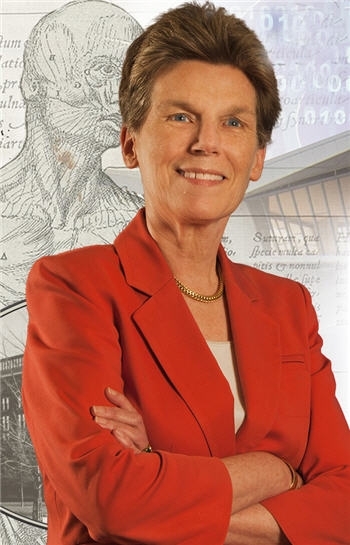 Among programs she led were expanding the preservation program, establishing a committee to advise NLM on the selection of literature to be indexed, improving the currency and coverage of Index Medicus and MEDLINE, increasing international MEDLARS accessibility, implementing DOCLINE, encouraging end-user searching, improving outreach to health professionals, and developing MedlinePlus. [T]he National Library of Medicine certainly needed to grow and needed to take advantage of new technology. And since its objective or mission was to see that the most current or useful information was available in the most remote place even—and we still struggle to do that—they have to take advantage of every new technology, if it looks even promising, to work with it until it’s developed and helps people out. It is not designed to continue every job as it was originally described. That means that we also have some obligation, I think, to help people make the transition to it. Colaianni was an associate editor of the fourth edition of the Handbook of Medical Library Practice, for which the MLA President’s Award was made in 1989. She presented the Janet Doe Lecture, “That Vision Thing,” in 1991. MLA also recognized her as a Fellow in 1994 and with the Marcia C. Noyes Award in 1995. Colaianni traveled extensively to encourage international cooperation among medical libraries. She chaired the 7th International Congress on Medical Librarianship (ICML) in 1995 and the Health and Biosciences Libraries Section of the International Federation of Library Associations and Institutions (IFLA). She received the European Association for Health Information and Libraries (EAHIL)’s Prix d’Honneur. I think it may be easy to underestimate…the impact that MLA has had on international librarianship...for librarians from all over the world to attend meetings, to attend exhibits, to meet people that they can subsequently work with [and] who set up cooperative arrangements with them, and to serve…as a role model for other associations... MLA started out early on with an international interest and they’ve maintained it, but I think it’s really important what they’ve done. 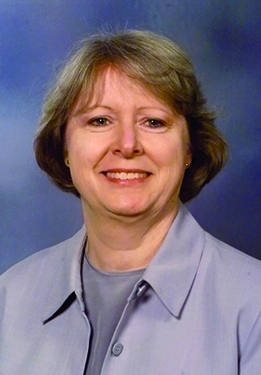 In retirement, Colaianni returned to hospital libraries at Presbyterian Intercommunity Hospital in Whittier, California, where she brought professional librarianship and was able to see how NLM services that she had overseen were used on the ground. I think there is going to continue to be a struggle with the description of our profession—what’s included, what’s excluded. I do think there’s going to be more splintering, as people who are…librarians in the health field splinter off and that expands, so that we have less of a straight tree and a lot more branching out. Also, I think that will happen because people will be looking for ways to use their particular skills…and create new environments in which to work.